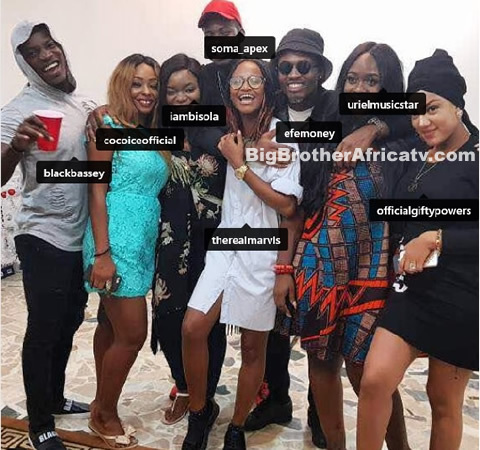 It was all cheers as former Big Brother Naija 2017 Housemates reunited, Uriel, Soma, Bisola, Efe, Marvis, Gifty, Bassey and Cocoice were part of this excitement. Uriel invited them at her place cooked for them and that's how they spent there boxing and it was amazing. We thank you Uriel for such that invitation and we hope you keep the Big Brother Naija spirit and we also thank the former housemates who attended and to those who didn't attend for one reason or the other we hope that next time you endeavor to attend and keep the Big Brother Naija spirit alive.